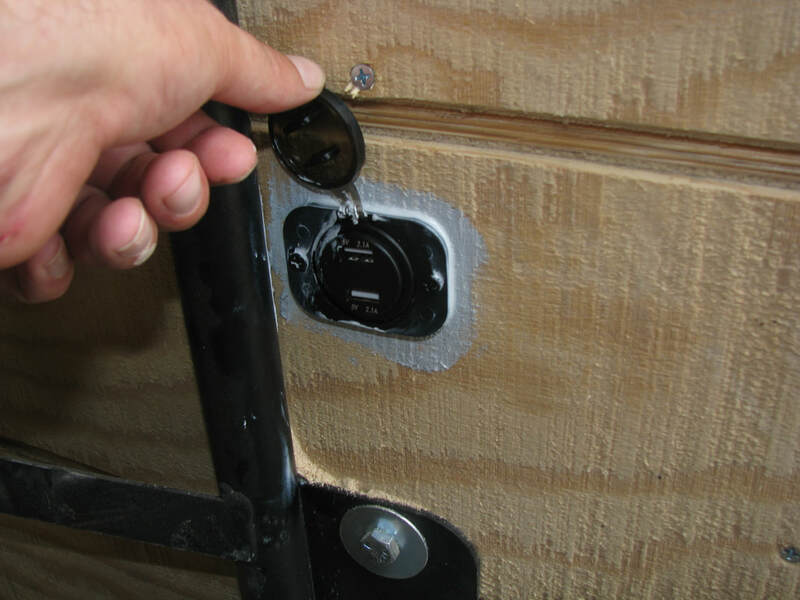 This pull was specifically Imagined, Developed, and Created in order to directly help the DAPL Water Protector Camps during the upcoming 2017/18 Winter Season. 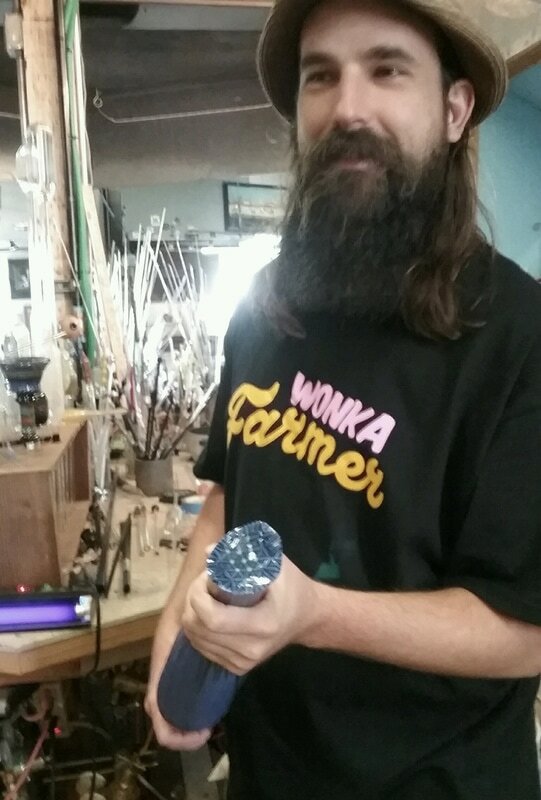 It has been Completed in the Hotshop in Eugene, Oregon @ The StarShip. 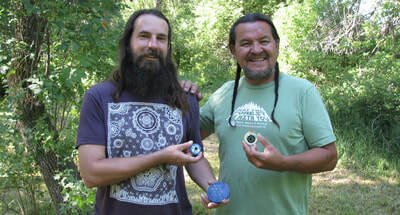 The "MNI WICONI" Coins have been Professionally Pulled, Cut, & Polished by an Incredibly Determined Team of Independent Glassblowers; who have donated months of time to create this amazing reward! 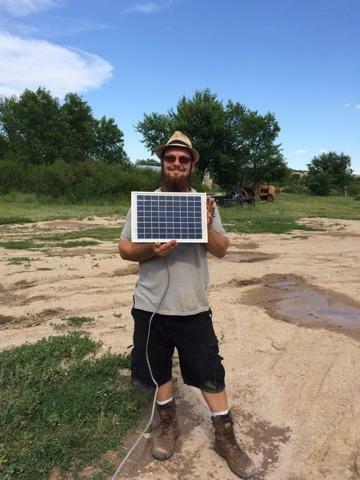 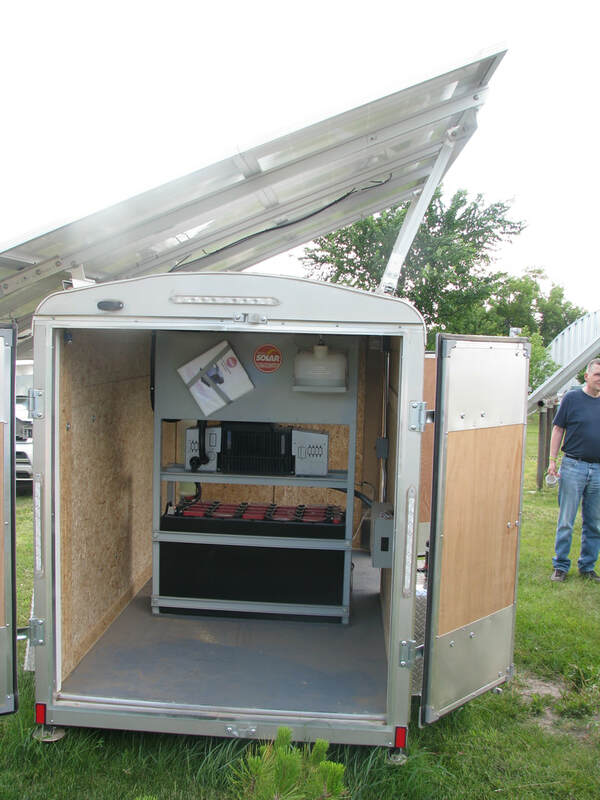 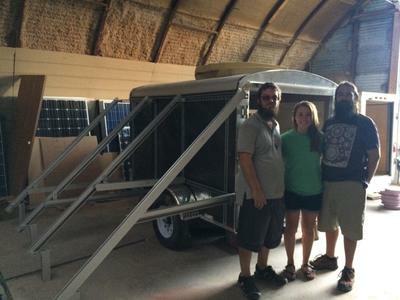 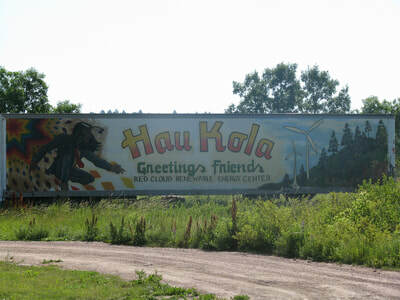 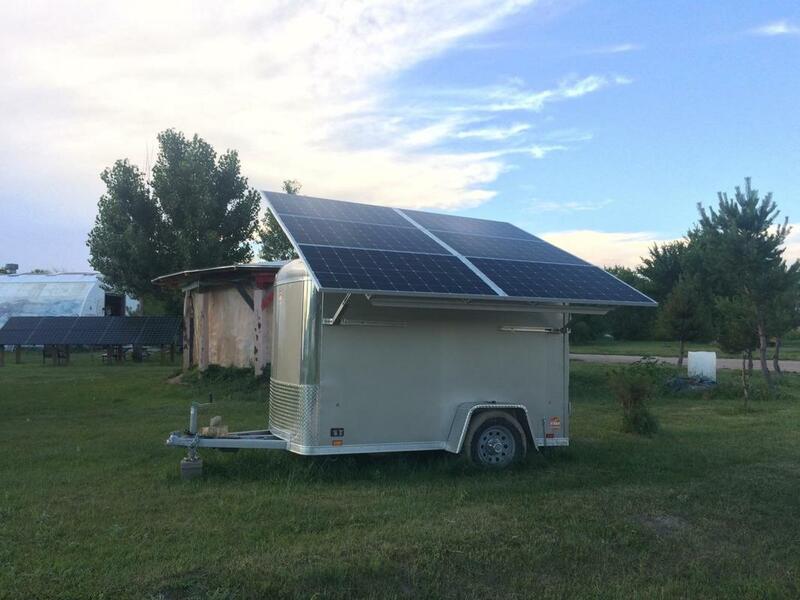 WE RAISED FUNDS TO PURCHASE & DELIVER A 5X10 TRAILER TO PINE RIDGE, SD TO INITIATE THE 48V SOLAR PROJECT! 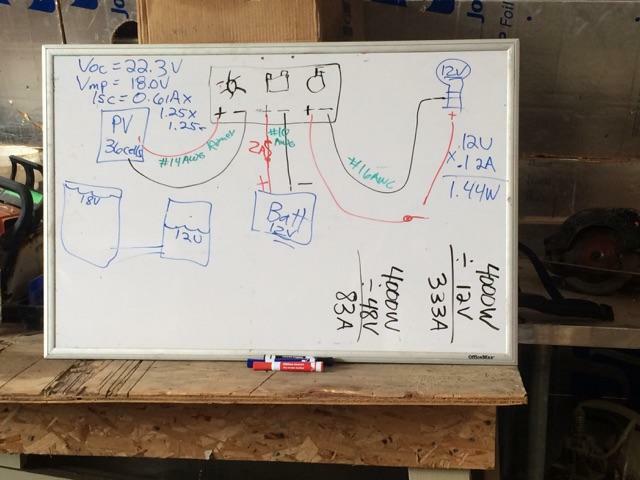 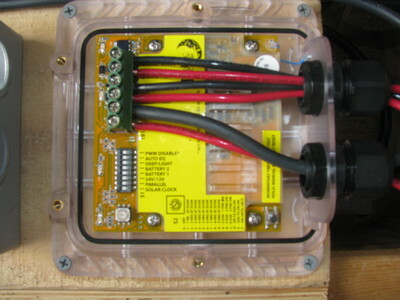 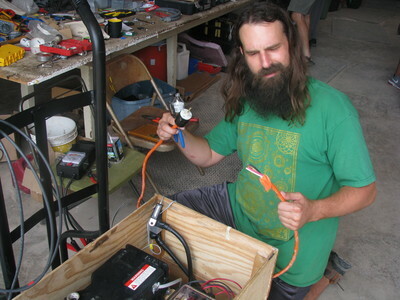 Beheady teams up with "Project 33: A starship in every garage"
This past 4th of July week my Solar Warrior friend, Taylor Carter, and I celebrated Energy Independence Day by participating in a hands-on workshop about off-grid solar electric systems. 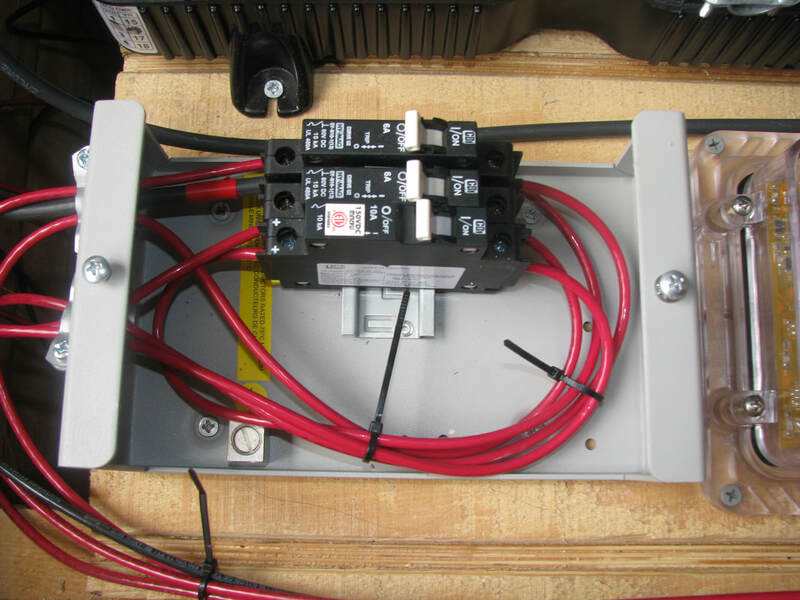 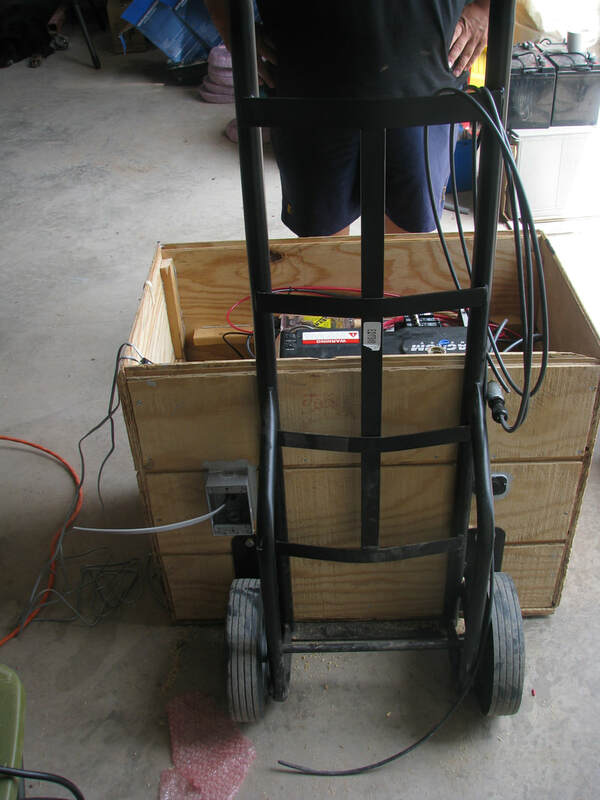 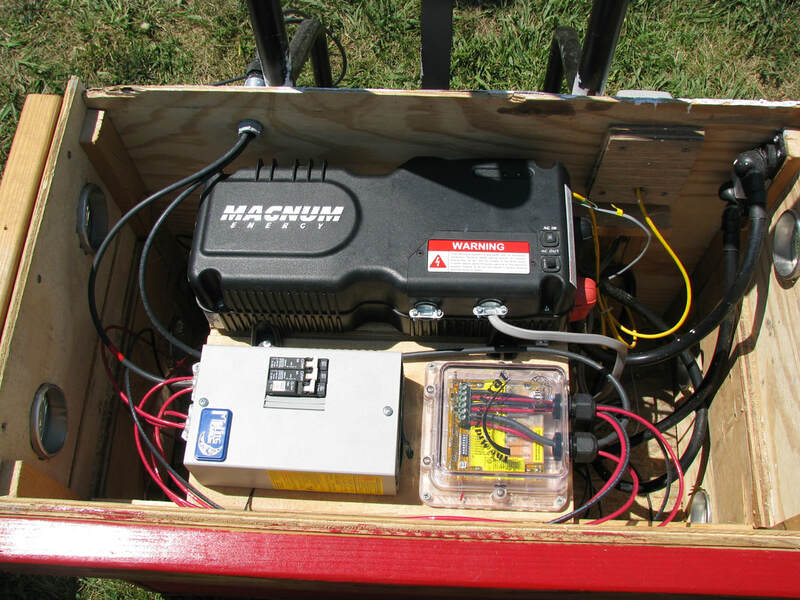 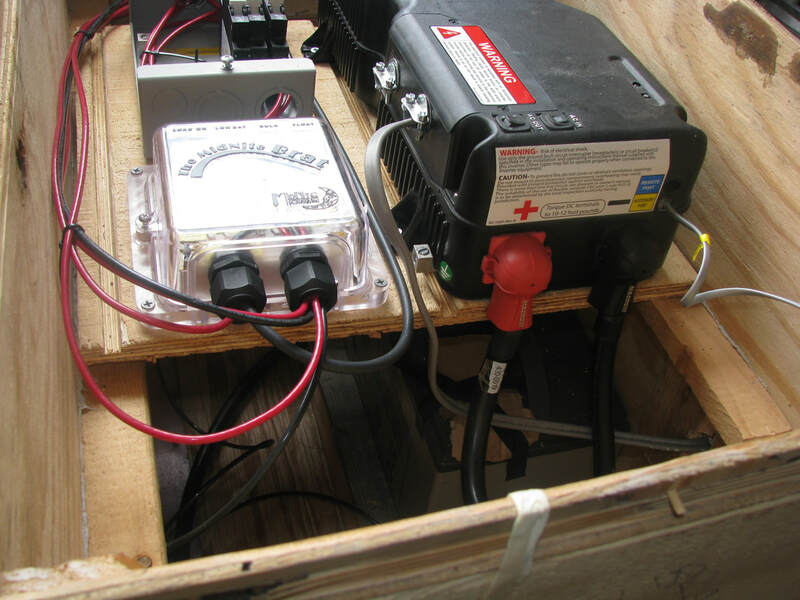 Here we learned how to assemble and build 12V Portable Light-in-Bucket systems, a 24V Dolly system and two 48V Mobile Solar Warrior Power Stations (MSWPS). 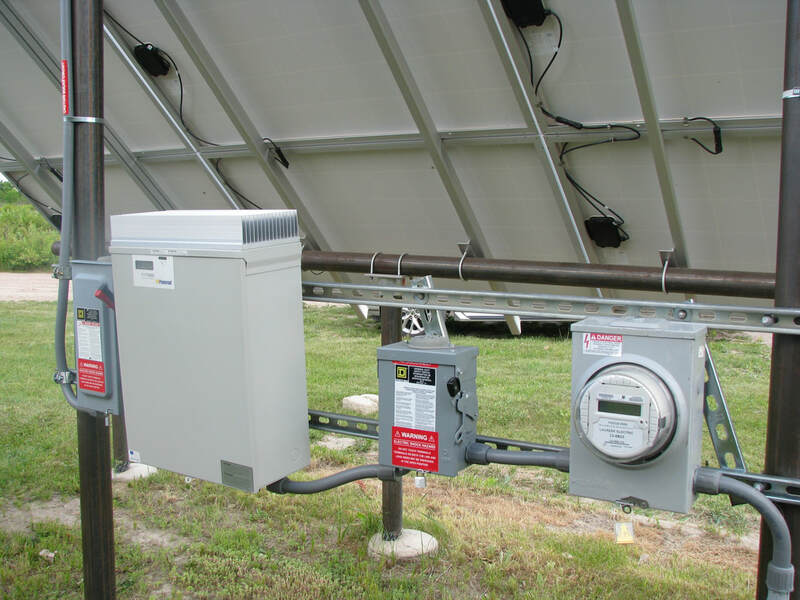 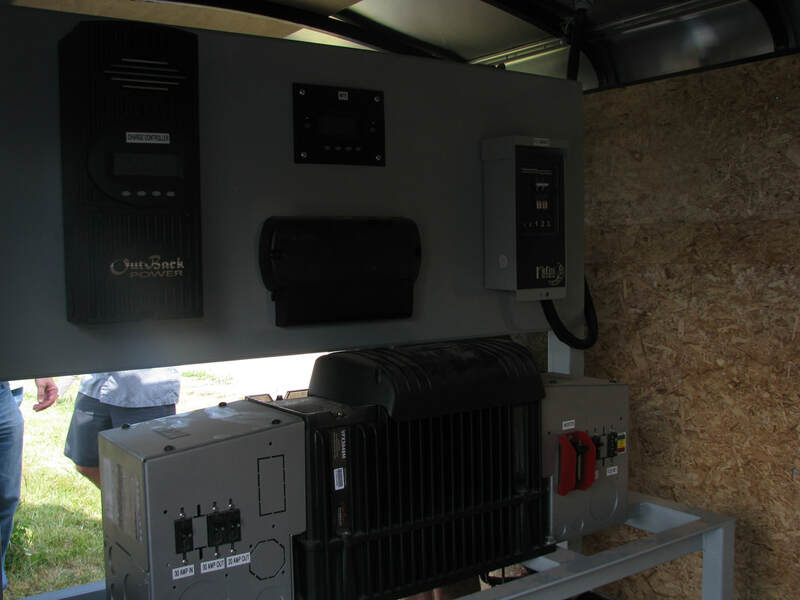 The MSWPS can be transported to remote locations, providing energy for communities to build, communicate, charge mobile devices, provide lighting, and allow medications to be refrigerated anywhere. 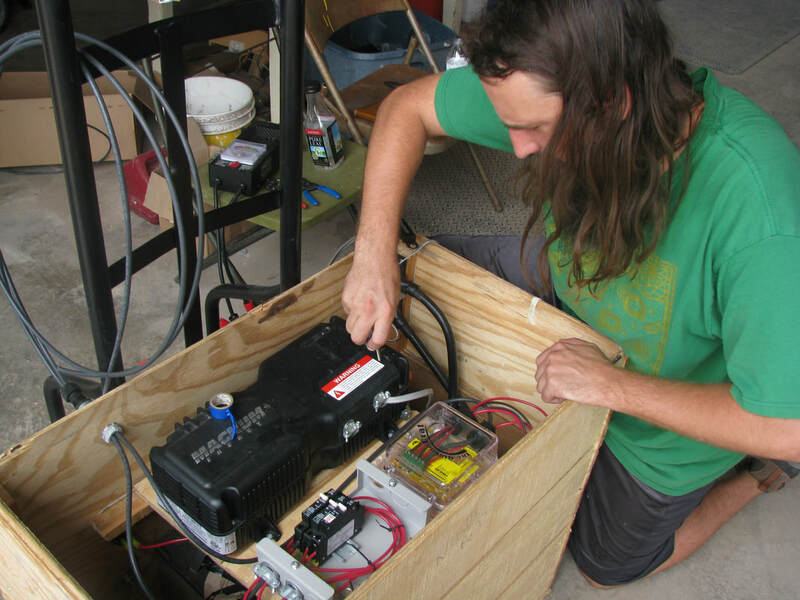 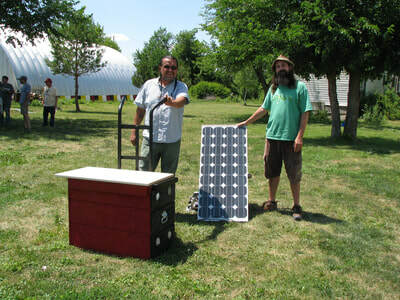 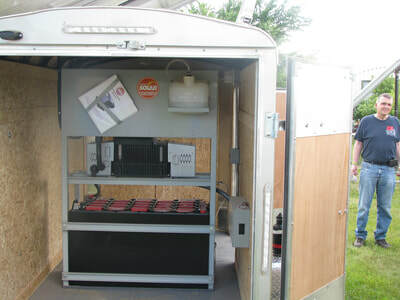 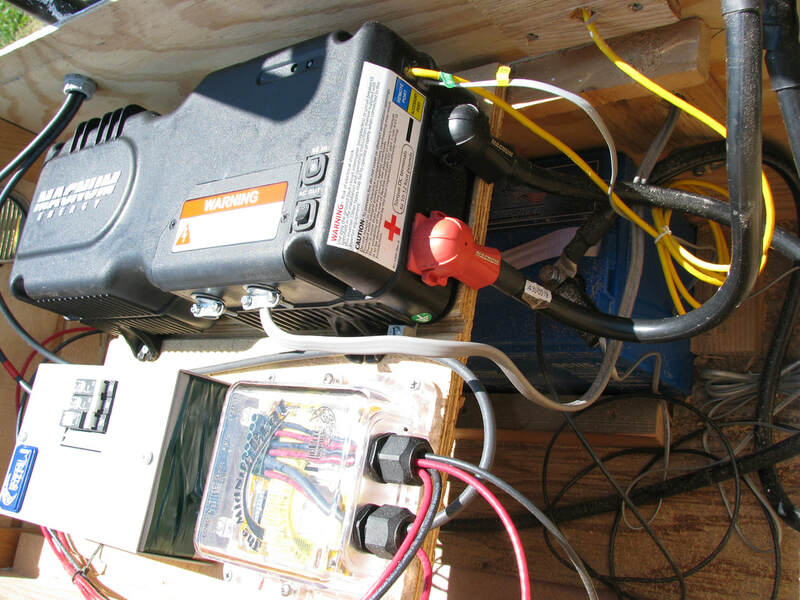 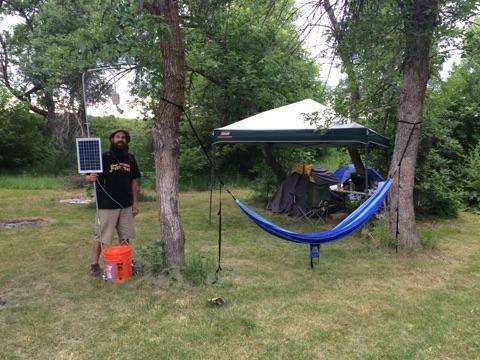 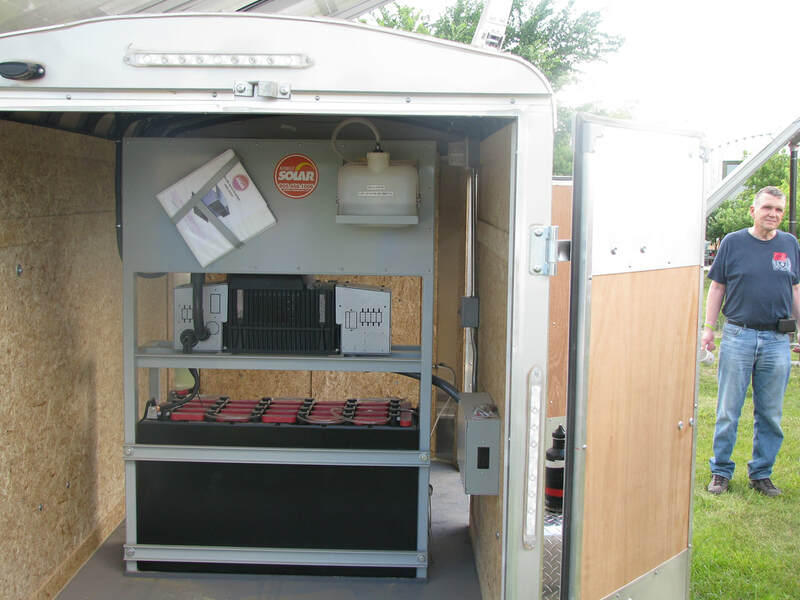 We will Build a 48V Mobile Solar Warrior Power Station! 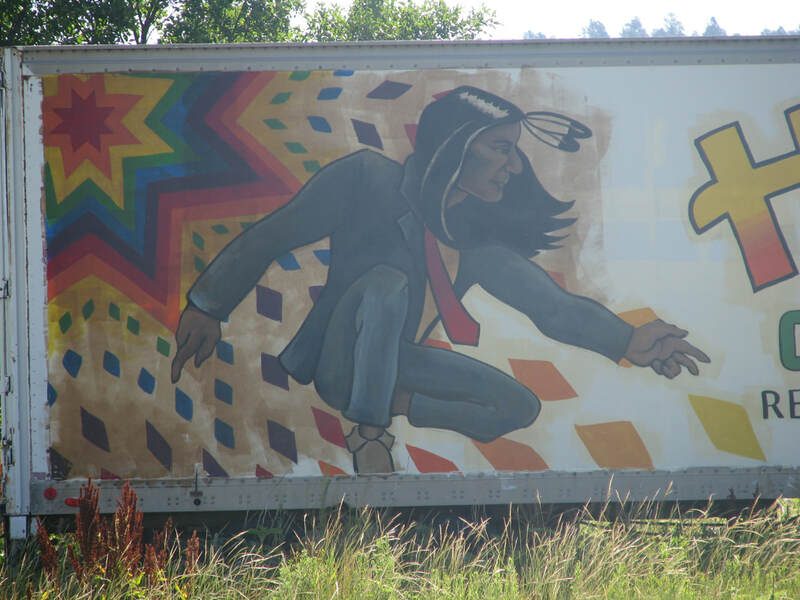 The Pull for the Water Protectors was initiated on April 20, 2016, and is finally being brought into Public view! 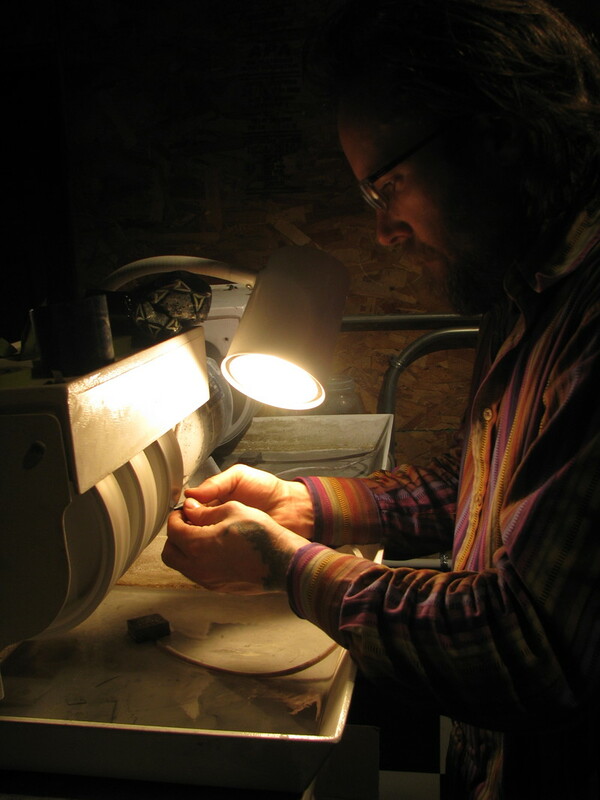 The lettering on the first two clips are for the letter C. These letters were not used in this coin, but the video is available to show the work in each letter! 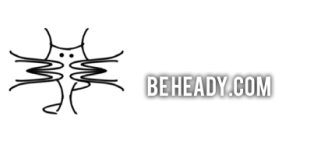 I wanted to film the pull of the letter, but the pull was so quick once the boro is hot, everyone is scrambling and making it happen safely is a huge concern! 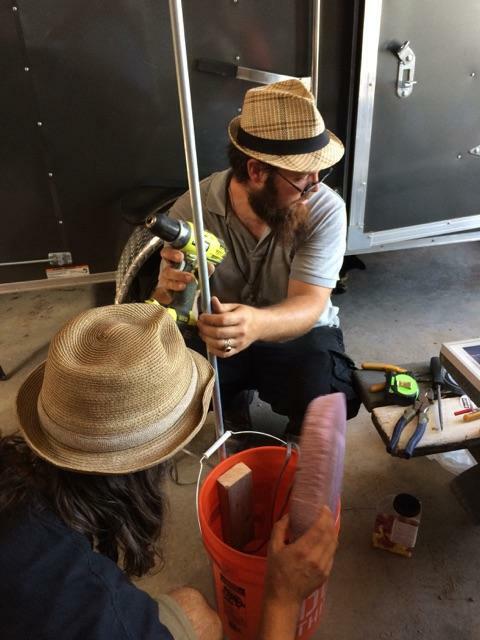 I was providing the shielding for Marcel for the letter U, so I didn't get any of that on film either... but there are plenty of days left to work! Each piece of the image must be pulled individually and then cut into the correct size. Assembling everything like a puzzle can be time consuming and Zen Inducing!